Managing storage space occupied by your backups is a task which should not require a DBA’s time. 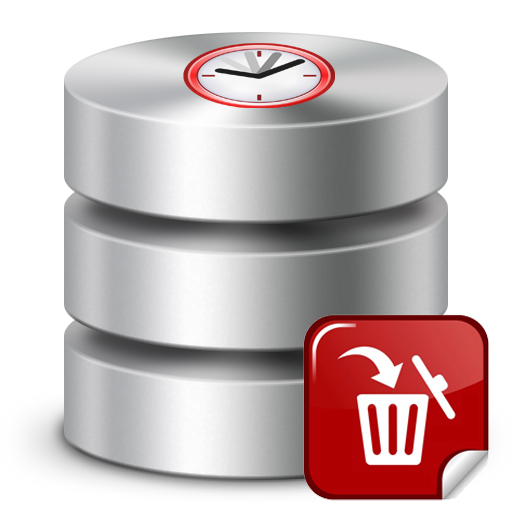 With SQLBackupAndFTP you can easily remove old SQL Server backups, periodically. In this article we will show you how to do this, step by step, so you will never have to worry about old backup files filling up your storage space. When setting up a task to remove old SQL Server backups you only have to do a few more clicks and you won’t have to worry about cleaning up the backup folder. If you already have selected a place where your SQL Server database backups will be stored, then all you have to do is press the Settings button and then go to Advanced Settings, like in the screenshot below. Full Backup option will be automatically selected as per suggested best practices. By selecting other backup types, the Auto-delete option becomes available to select through a tickbox. The reason for this is because after each Full backup, previous differential and transactional backups will generally become obsolete (as their data should be included in the last Full backup) thus you can remove them to save disk space. You have the option of keeping them in your backup folder for an additional time in case you find it easier to restore to a specific point in time with differential and transaction logs (T-SQL option or SSMS option). You can set the number of days after the FULL backup they were created with when they are going to be automatically removed from the storage folder. 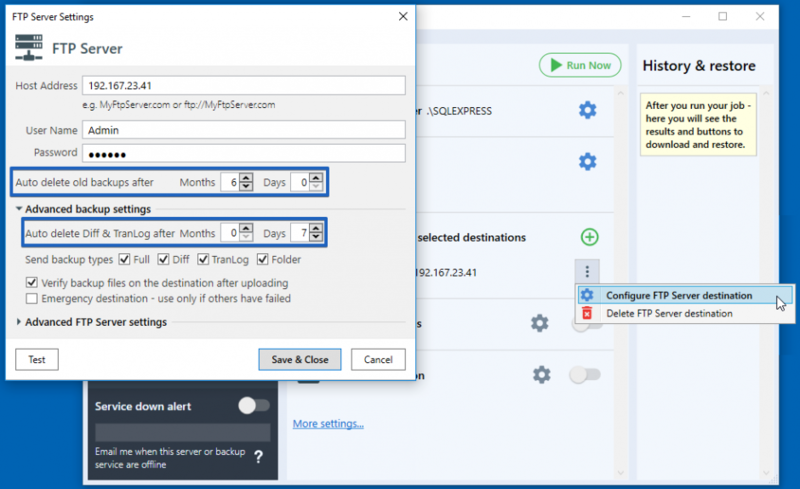 This process to remove old SQL Server backups, by being set up this way, does not require any personnel intervention, which is why it’s a great option to use in addition to any of your backup plans. Yes, but if i want to delete old full backup automatically? With SQLBackupAndFTP you can also delete old full backups automatically. Please find more details on the screenshot.